Tony Albert, a Kuku Yalanji man from north-east Queensland, was a founding member of the Queensland Indigenous art collective proppaNOW and works across drawing, painting, photography and installation. Albert has exhibited nationally and internationally, including at the Musée d’Aquitaine, Bordeaux, France (2014); Singapore Art Museum (2013); National Museum of China, Beijing (2013); and Tel Aviv Museum of Art, Israel (2011). He was also included in the 10th Havana Biennial, Cuba (2009) and Dark Heart, the 2014 Adelaide Biennial of Australian Art. His commissioned artwork for the Hyde Park War Memorial in Sydney commemorating Indigenous soldiers, YININMADYEMI Thou didst let fall, was unveiled on Anzac Day in 2015. Sharyn Egan is a Nyoongar woman living and working in Perth. She is a painter, natural fibre weaver and sculptor whose work is informed by experiences of loss and displacement shared by many Aboriginal people. Her recent exhibitions include When the Sky Fell, Perth Institute of Contemporary Art, 2017, and Open House: Third Tamworth Textile Trienniale, 2017. Her major public artworks include a land art collaboration with Elaine Cocherty for South Perth, 2017, and woven playscapes for Perth Stadium, 2018. Moogahlin Performing Arts Incorporated was formed in Redfern NSW in November 2007, in honour of the late Kevin Smith’s request, and in memory of the founding members of Black Theatre. Moogahlin’s Co-Artistic Directors are Frederick Copperwaite, Lily Shearer and Liza-Mare Syron. Moogahlin aims to create and tell community-based stories, develop a comprehensive youth theatre and produce distinctive, cross-cultural and interdisciplinary performance works. Recent projects include Broken Glass, co-produced with Blacktown Arts for Sydney Festival 2018, and Fire Bucket presented at Sydney Festival 2017. The BNI project website is home to historical information and personal stories regarding the Blacktown Native Institution. Aboriginal and Torres Strait Islanders please note that this website contains material that refers to people who have died. 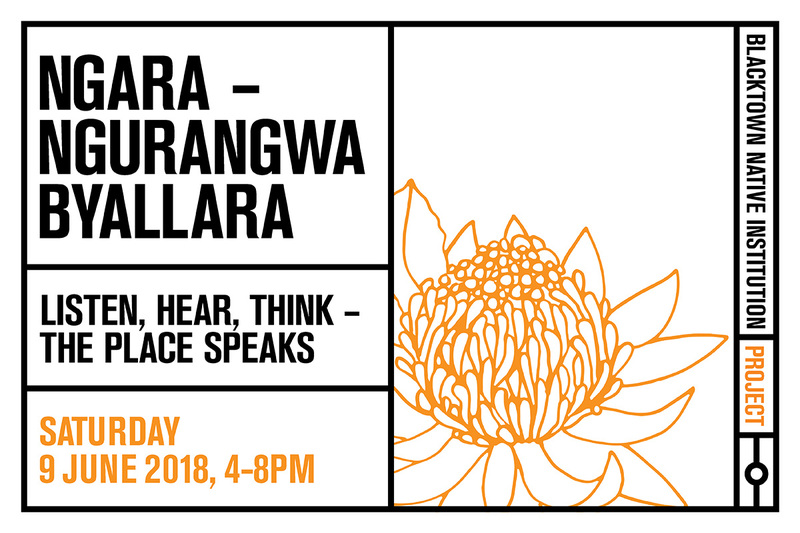 We acknowledge the Darug people as the traditional owners of the land of the Blacktown Native Institution and pay our respects to elders past and present.